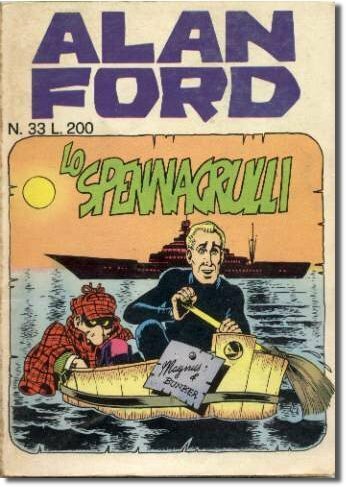 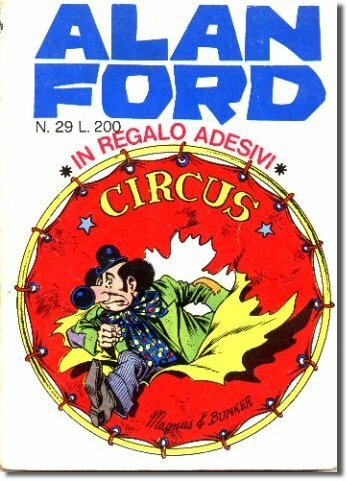 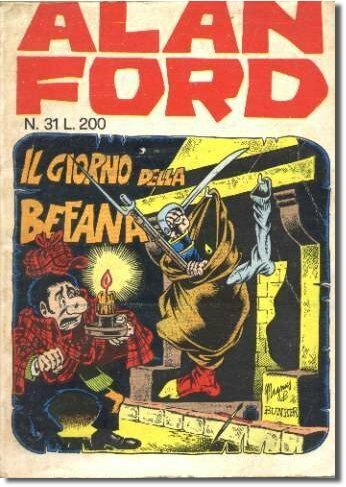 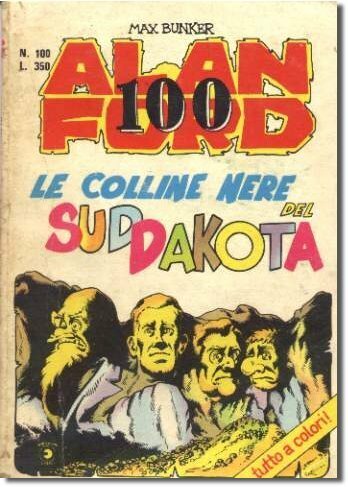 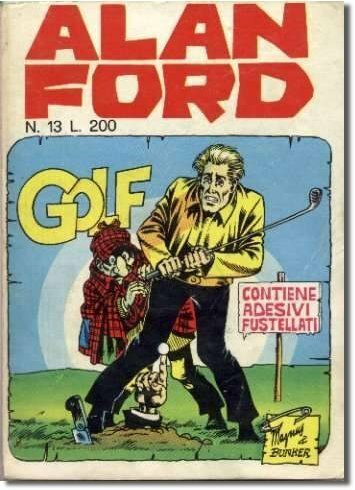 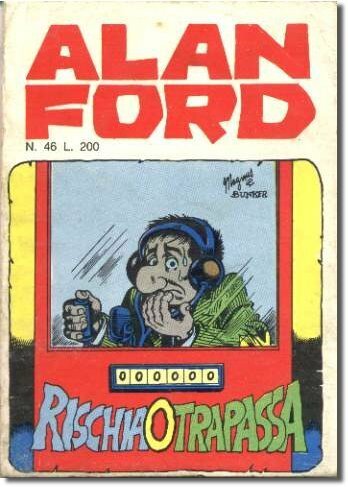 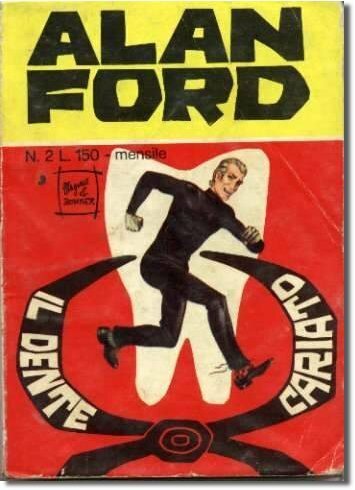 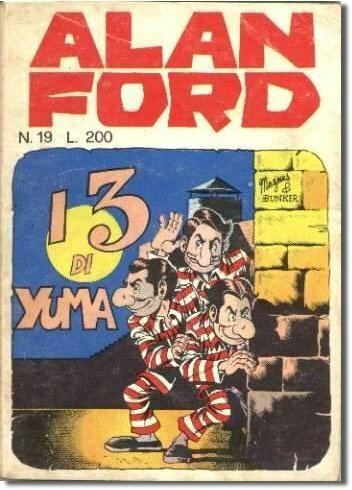 The first issue, May 1969Alan Ford is an Italian comic book created by Max Bunker (Luciano Secchi) and Magnus (Roberto Raviola), in print since 1969. 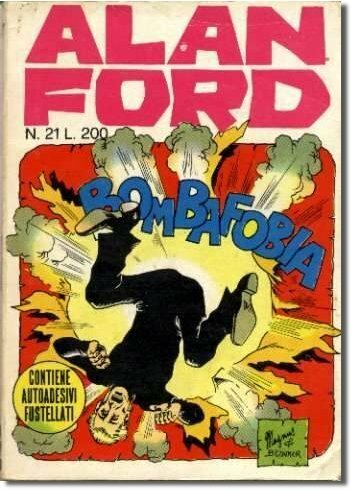 The comic book is a satirical take on classic secret agents laden with surreal and black humour, sardonic references to aspects of the contemporary Italian and Western society. 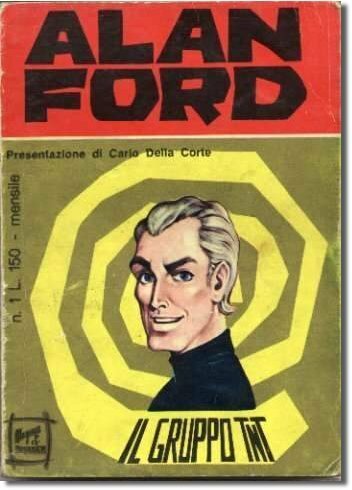 Although it became widely popular in Italy shortly after its introduction, Alan Ford remained relatively unknown outside Italy. 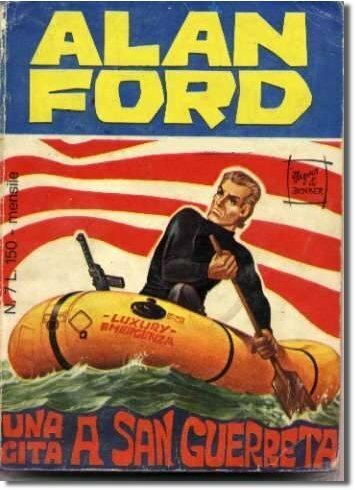 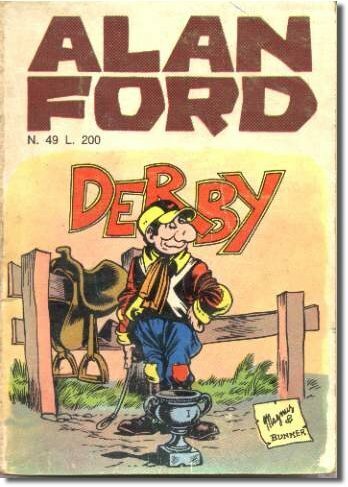 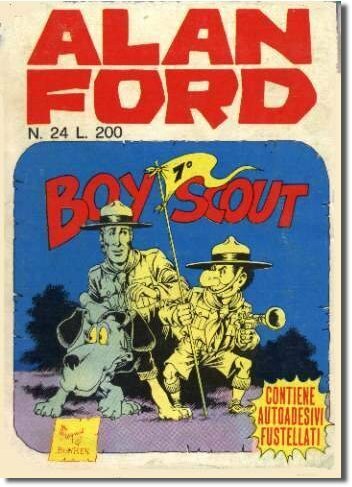 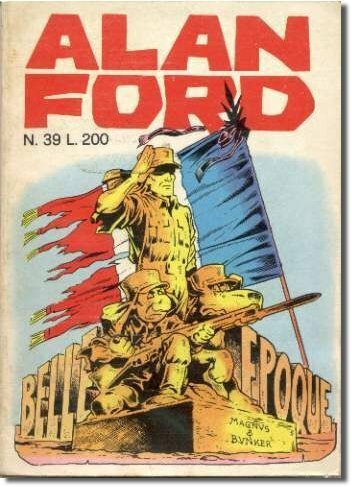 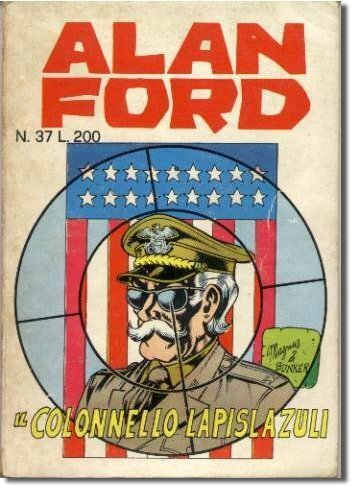 The French, Danish and Brazilian editions soon failed but the only other foreign edition, in SFR Yugoslavia, was a huge success, becoming and remaining one of the most popular comic books in the former country and its successors. 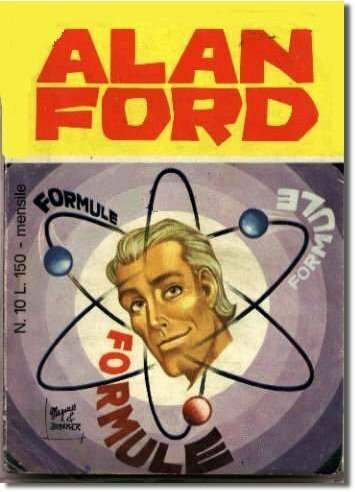 Although the initial plot in the first few episodes develops around an agent called Alan Ford, he is later just one of the central group of characters: Group TNT is an assembly of misfit secret agents, who operate from a flower shop in New York City, USA, which they use as a front for their secret headquarters. 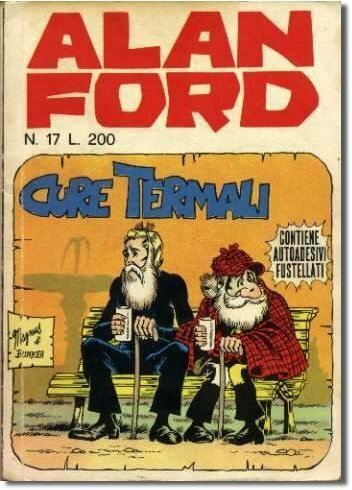 They are incompetent and lazy, yet intelligent and cunning, especially when it suits their own personal interests. 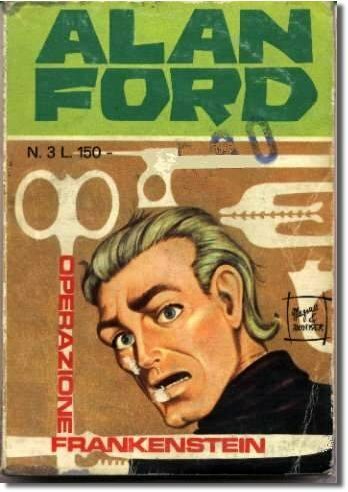 Their outlandish biographies are dwarfed by that of their iron-fisted and shrewd leader, the wheelchair-ridden Number One, a Methusalem character who embezzles the millions paid to the group by American government or city fathers for secret missions, while paying a pittance to his agents. 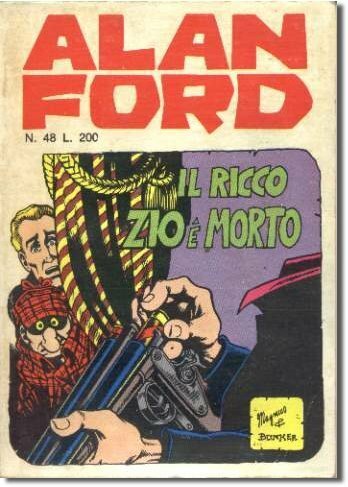 The comic book ridicules aspects of American society, including capitalism and racism. 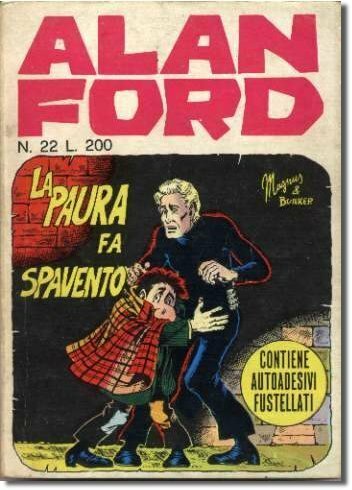 There were also direct references to local Italian reality, whose social ills were often satirized by Magnus & Bunker, as well as terms in Milanese dialect. 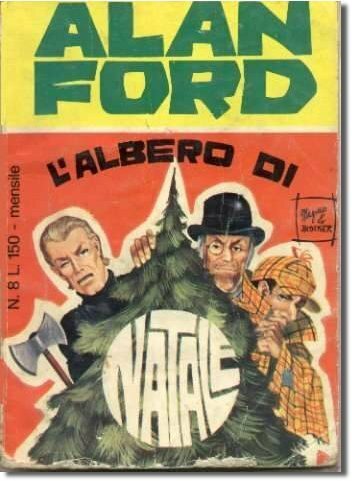 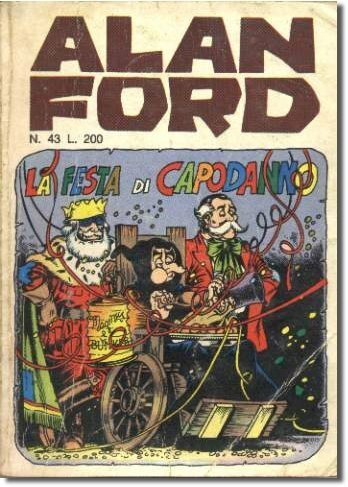 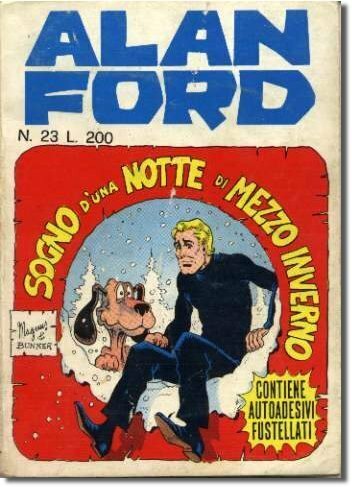 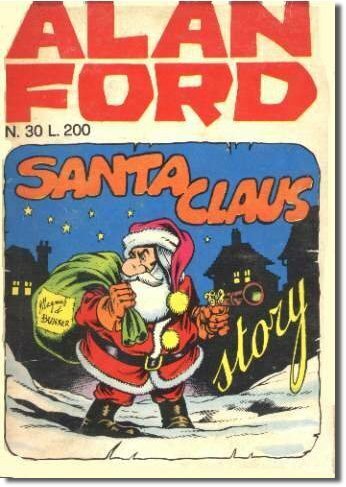 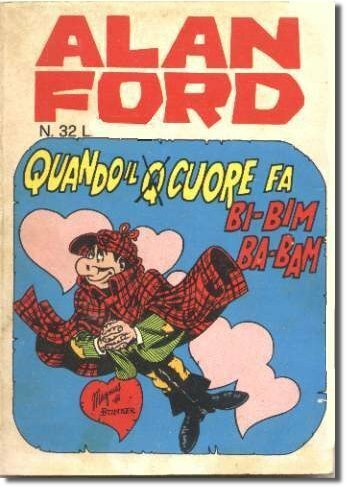 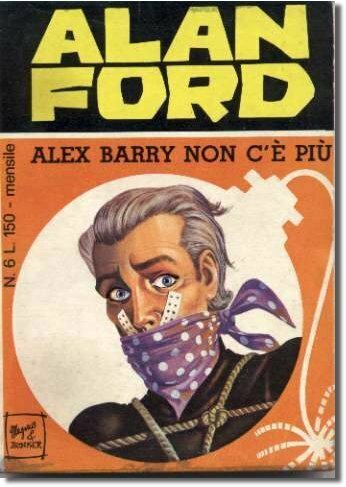 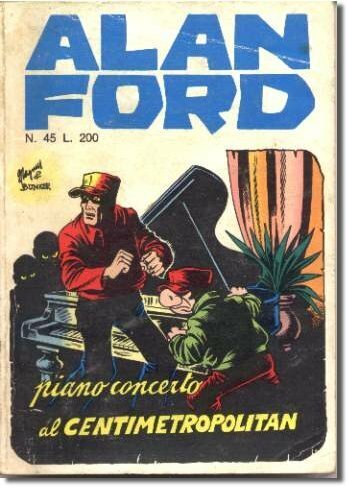 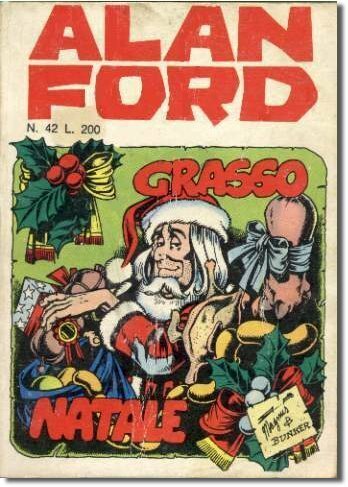 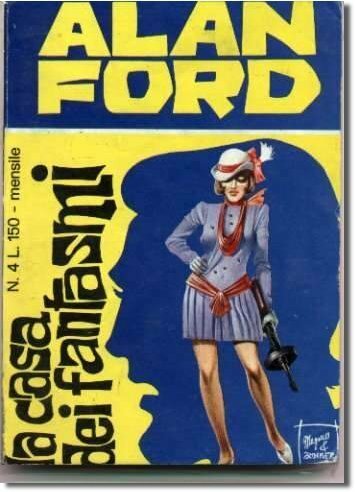 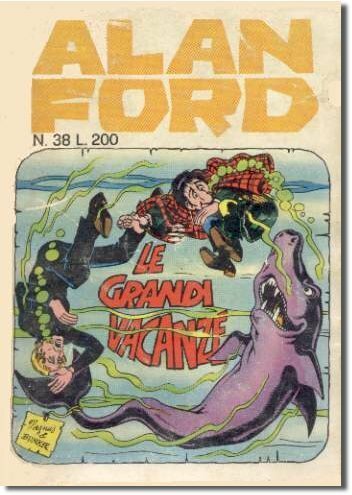 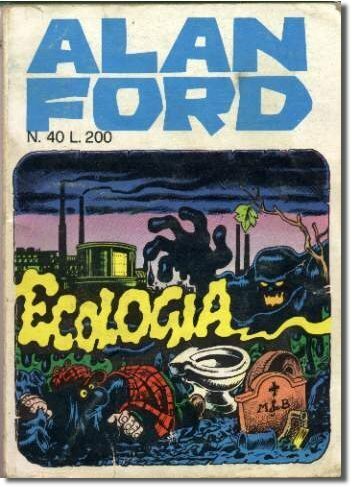 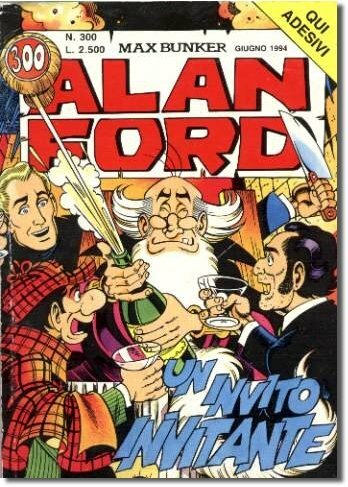 Alan Ford is published monthly monthly in Italy. 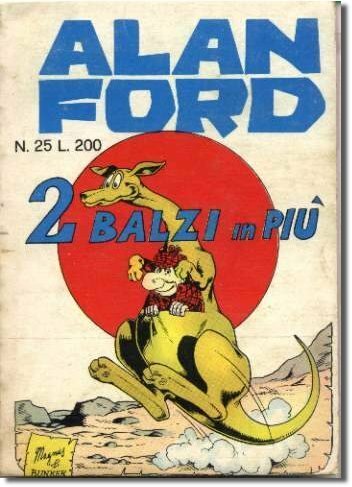 There are also editions in Bosnia and Herzegovina, Croatia (at least 4 different editions, as of 2008), Serbia and Slovenia. 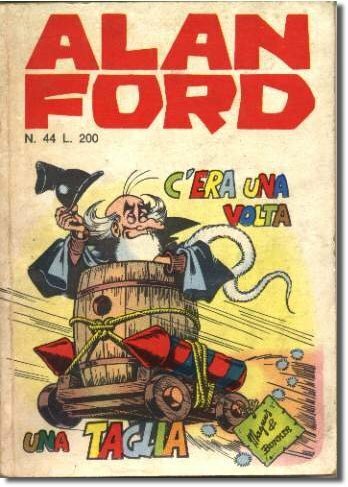 Republic of Macedonia edition was also available for a while, and the Serbian editions are now imported into Macedonia and Montenegro, still remaining hugely popular. 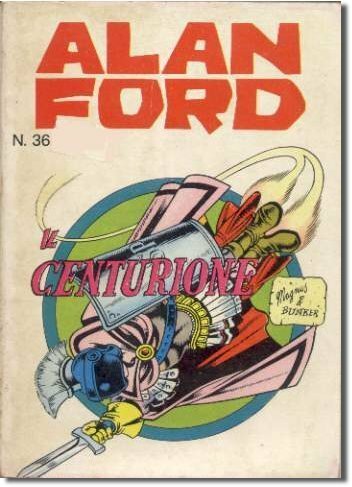 The comic book has been adapted to animated film and theater plays, as well as used as a source of inspiration in books and movies. 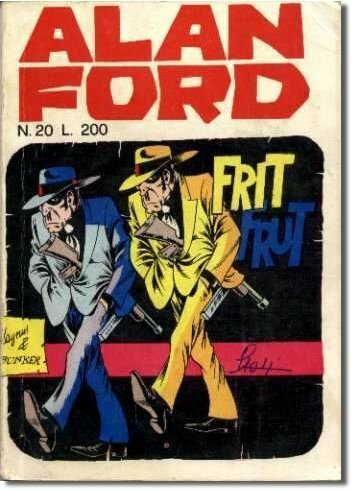 Issue n.50, where the origin of the Group TNT are explainedThree years before the comic book was published in May 1969, Max Bunker, along with illustrator Magnus, had the idea to create a satire of James Bond (they had previously created a serious spy character, Dennis Cobb). 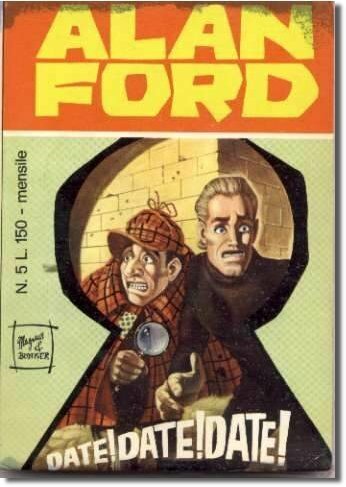 The initial script was written in August 1967 and the dialog revised in April 1968. 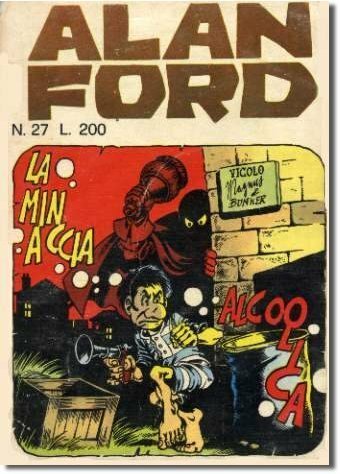 The script included six main characters (Alan Ford, Bob Rock, Sir Oliver, The Boss, Jeremiah and Grunf), but the creators decided to omit Sir Oliver in the ultimate revision (July 1968), for fear of overwhelming readers with characters in the first issue. 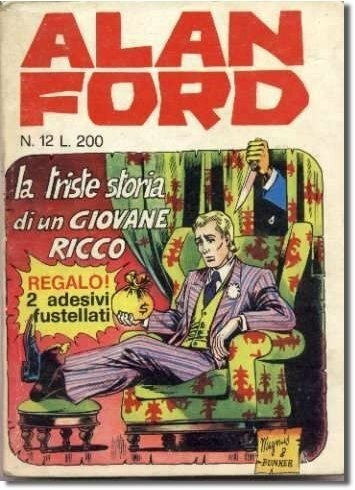 Raviola decided to base the drawing of Alan Ford on Irish actor Peter O'Toole. 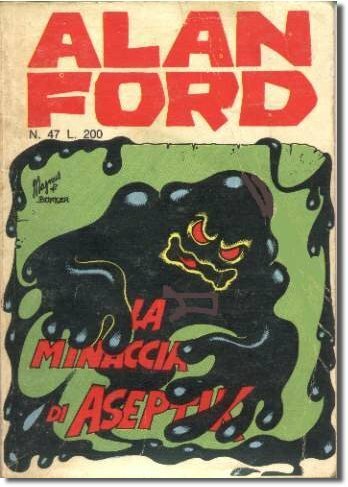 According to Max Bunker, he wanted to create a comic book which did not fall into either of the then predefined categories of adventures and dark comics, like Satanik or Kriminal (both by Bunker and Raviola), or traditionally funny comics, like Mickey Mouse. 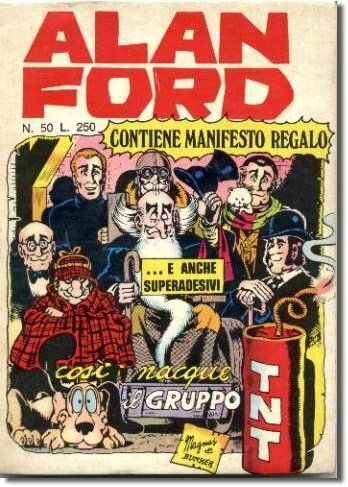 The first issue of the comic book, entitled "Group TNT", was received mildly by its audience. 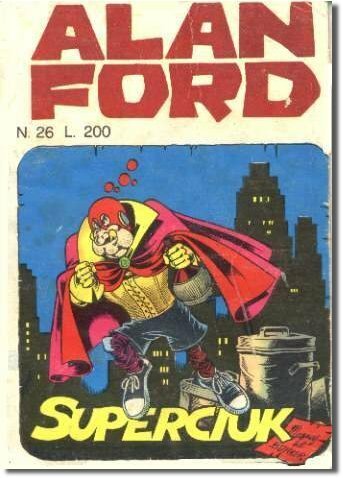 The second issue, entitled "The Rotten Tooth" appeared in June 1968, introduced the Sir Oliver character, and was overshadowed by the first issue's lack of success. 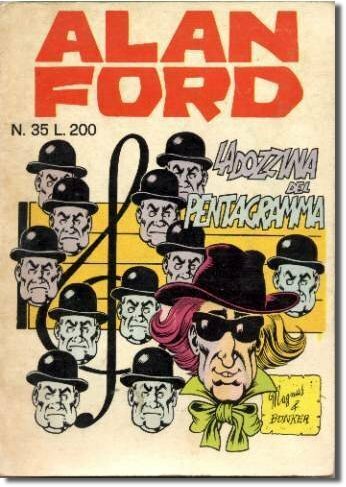 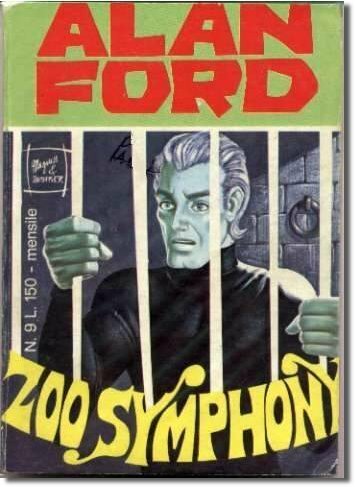 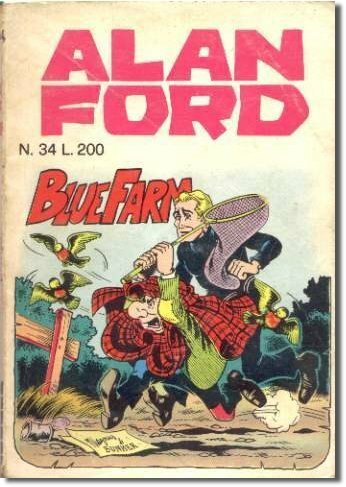 The reputation of Alan Ford grew with subsequent issues. 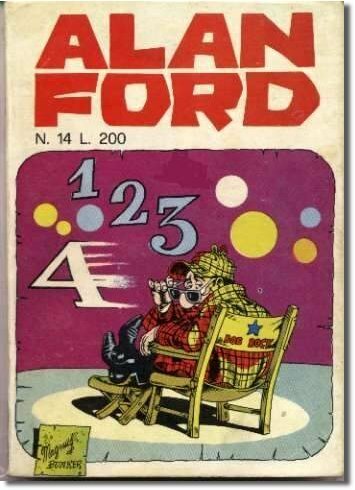 The character of Number One was introduced later into the series, in the 11th issue named "The Number One". 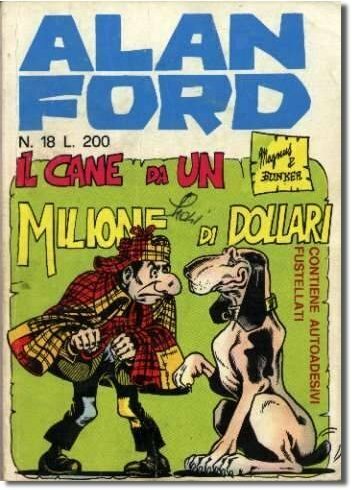 Cirano first appeared in the 18th issue ("Dog For Million Dollars"), when he was adopted by Bob Rock, albeit unwillingly. 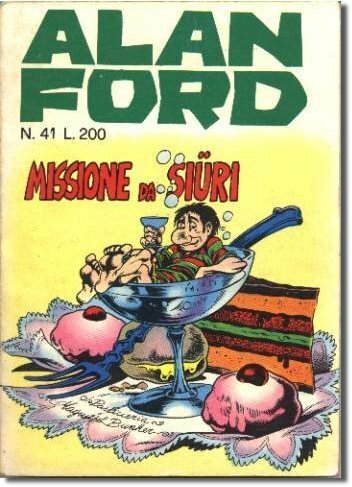 Magnus drew the first 75 issues, after which he was replaced by Paolo Piffarerio in 1975. 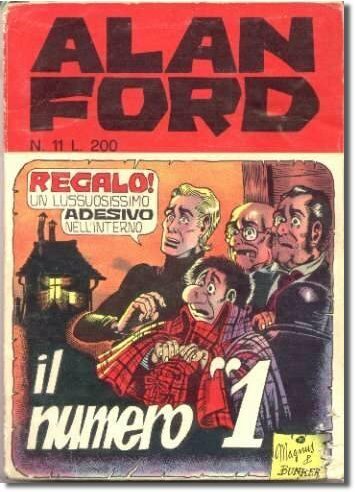 In 1983, when the comic book moved to another publisher, Max Bunker Press, Raffaele della Monica and Giuliano Piccinnino replaced Piffarerio. 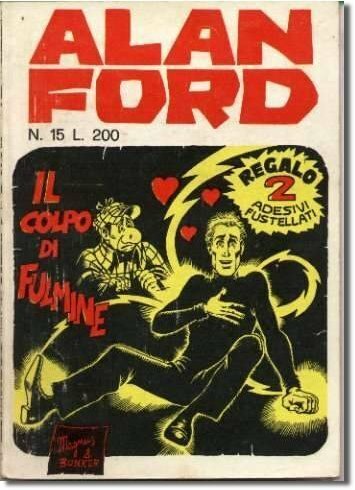 Currently the comic book is drawn by Dario Perucca (who also draws covers) with inks by Omar Pistolato. 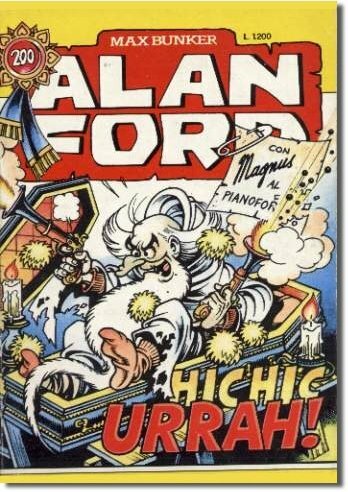 In its entire story the drawing style has remained the same set by Magnus. 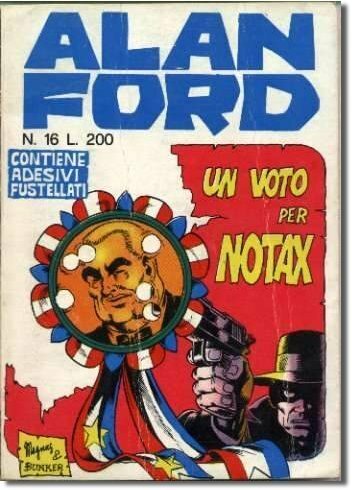 PRESENTAZIONE DI CARLO DALLA CORTE - LA MAGLIETTA DI GRUNF CON LA SCRITTA " CHI VALE VOLA, CHI VOLA VALE, CHI NON VOLA E' UN VILE ". 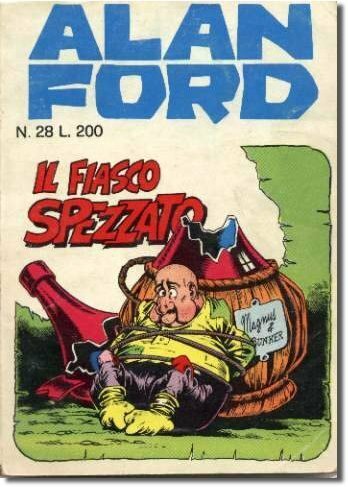 28000 SONO LE COPIE VENDUTE DI QUESTO ALBO.